Recycle all squeezable snack food pouches through this program. 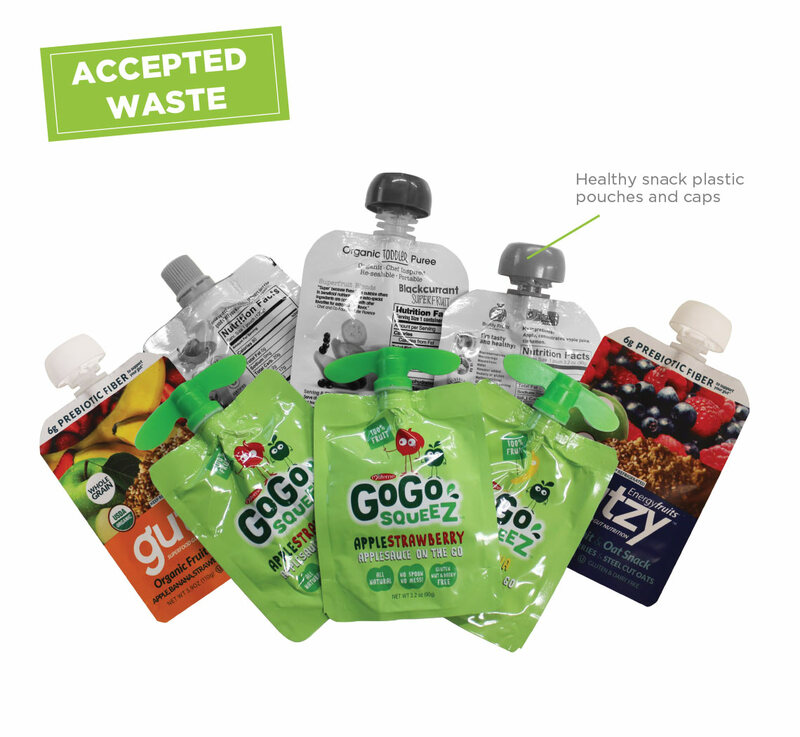 TerraCycle® and GoGo squeeZ® have partnered to create a free recycling program for healthy snack plastic pouches and caps, as well as a fundraising opportunity for participants. Review the FAQ for more information. In order to recycle this waste stream properly, please make sure all excess product has been removed (i.e. leftover applesauce). Additionally, if you choose to rinse your product, please note that it must be completely dry prior to shipping. You cannot ship dripping packages. 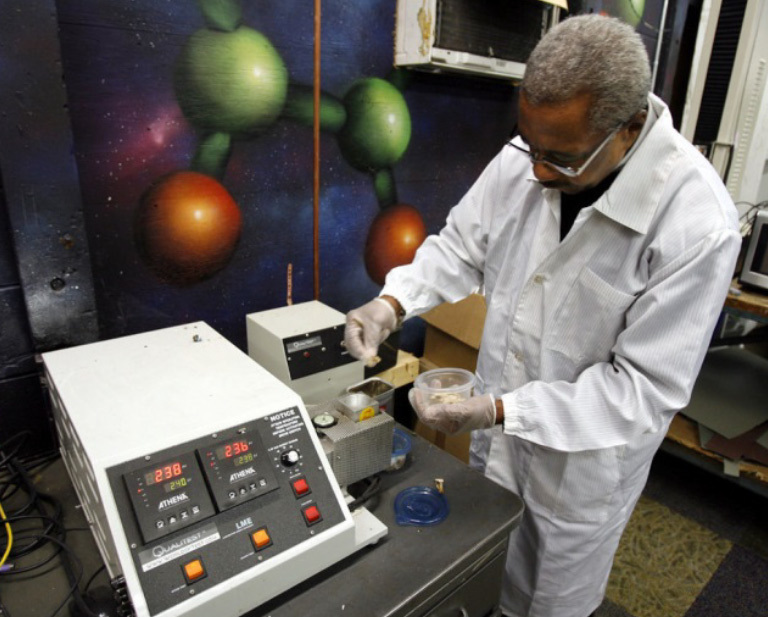 Once collected, the products and packaging are cleaned and melted into hard plastic that can be remolded to make new recycled products. Click here to learn more about the recycling process. 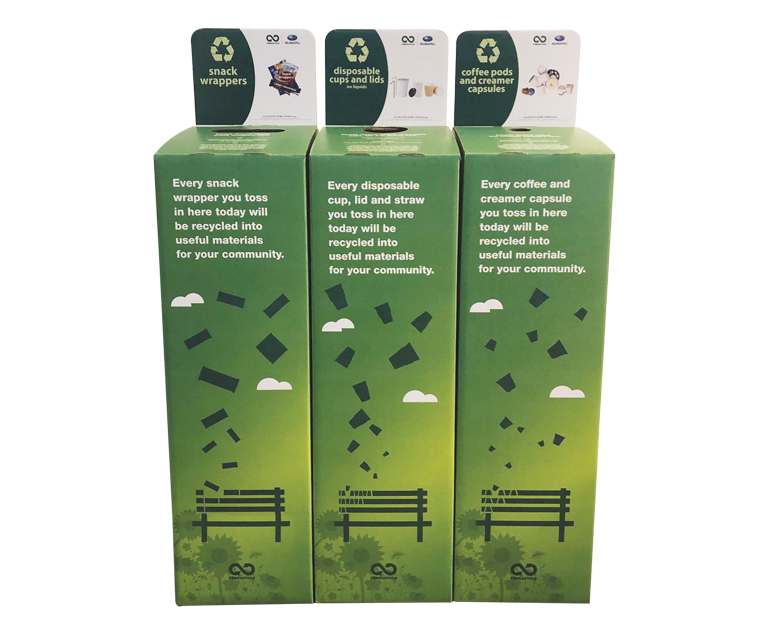 TerraCycle points can be redeemed for a variety of charitable gifts, product bundles, or a payment of $0.01 per point to the non-profit organization or school of your choice. To learn more about our points program, click here. Check out these inspiring projects that show you how you can reuse this waste stream right at home. At GoGo squeeZ®, our mission is to make it easier for families to be healthier and happier. We’re proud to be the leading squeezable, re-closable, 100% fruit in a pouch. Our products are crafted with high-quality, natural ingredients to provide wholesome goodness for squeeZing, and enjoying wherever life takes you. With over 20 varieties of fruit and veggieZ on-the-go, we’re more than just Applesauce, we’re Goodness on the Go! Loving the Earth means preserving it.